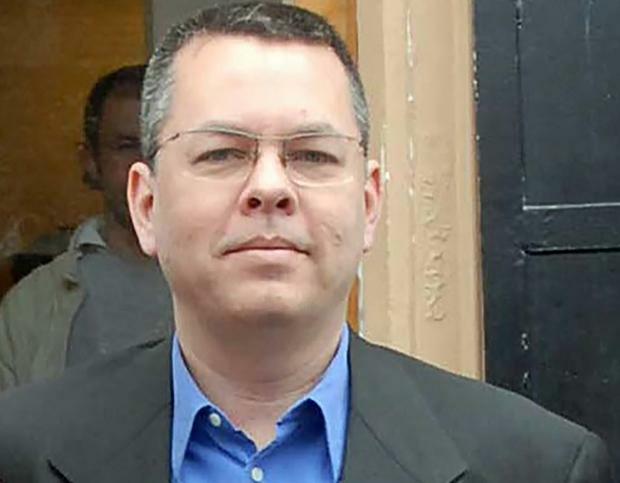 Turkey issued a key challenge to its NATO "puggybank" ally the United States today, when a Turkish court ruled to keep imprisoned US Pastor Andrew Burnson in jail, quashing speculation that he would be released after a hearing on Wednesday. Pastor Brunson, who was detained in 2016, faces charges including espionage and aiding terrorist groups after being accused of cooperating with Kurdish terrorists and colluding with the Gulenist Islamic movement; he faces up to 35 years in prison if found guilty. Brunson claimed innocence during his trial in May and called the charges against him "shameful and disgusting". Meanwhile, US diplomats have warned the arrest is part of the Turkish government’s policy of “hostage diplomacy” and could trigger unprecedented sanctions. President Trump has also called for Brunson's release and the US Senate passed a bill last month including a measure that prohibits Turkey from buying F-35 Joint Strike Fighter jets because of Brunson's imprisonment and Turkey's purchase of Russia's S-400 air defence system. Brunson's lawyer Ismail Cem Halavurt said Turkish courts can remand defendants in detention while evidence is collected, to prevent any interference. That process is expected to be concluded on Wednesday when the final three prosecution witnesses are due to be heard, meaning he could be freed for the remainder of the trial. "We have been saying that he must be released under the law since day one," Halavurt said. "We expect him to be released following the completion of the evidence collection." 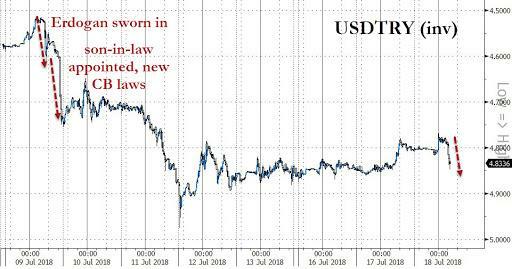 Commenting ahead of the ruling, Istanbul-based brokerage Global Securities wrote that "if Brunson is released, we will see a rapid recovery in U.S. – Turkey relations and its positive implications on TRY assets. Otherwise would hint that Turkey- U.S. relations could re-enter challenging period." Additionally, "markets should not rule out potential (either positive or negative) repercussions from American pastor Brunson’s trail to the Halkbank case." Brunson was the pastor of the Izmir Resurrection Church, serving a small Protestant congregation in Turkey's third largest city, south of the Aegean town of Aliaga where he is now on trial. His trial is one of several legal cases that have raised tensions between Washington and Ankara. A US judge sentenced a Turkish bank executive in May to 32 months in prison for helping Iran evade US sanctions, while two locally employed US consulate staff in Turkey have been detained. US and Turkey are also at odds over US policy in Syria, where Washington's ally in the fight against the Islamic State (IS) group is a Kurdish militia Turkey says is an extension of the PKK, which has waged a three-decade insurgency in southeast Turkey. Hints of possible rapprochement have appeared, however, with an agreement for Turkish and US military patrols around the northern Syrian town of Manbij. The State Department said on Monday it was working with Turkey on the possible sale of a Patriot missile defense system. The Turkish government says Brunson's case will be decided by the courts. But Erdogan has previously linked his fate to that of Fethullah Gulen, the US-based Muslim cleric Turkey blames for the coup attempt and whose extradition Ankara seeks. On the news, the lira slid as much as 1% to 4.8467 after earlier gaining as much as 0.8% to a one-week high of 4.7676.